An “in between” vehicle, the Colt Vista is an ideal choice for a small family on a budget. 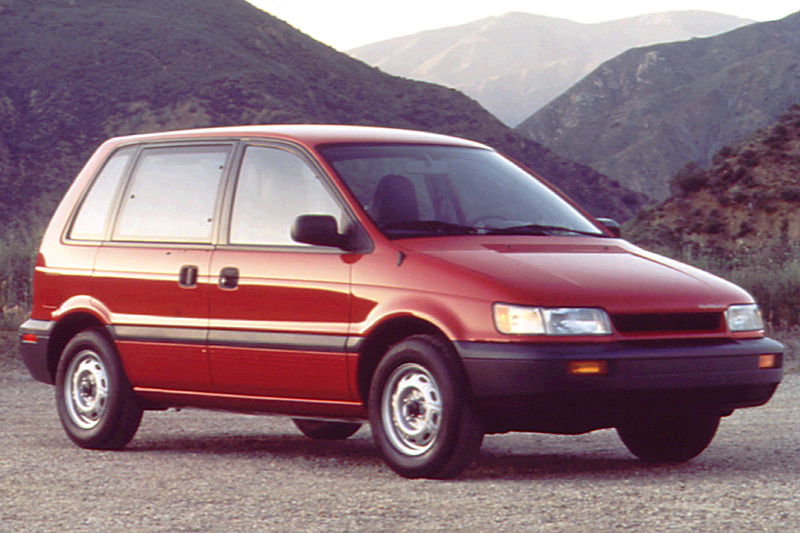 Not as versatile as a full-size minivan, the Vista is also not as expensive. 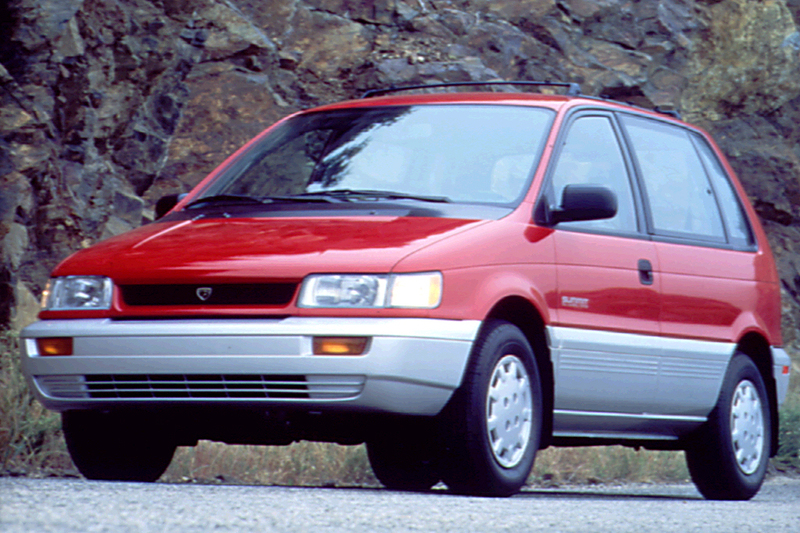 Mitsubishi launched an Expo LRV “mini-minivan,” for 1992. The Colt Vista was the Plymouth variant; Summit Wagon Eagle’s version. Subcompact but tall in profile, the Colt Vista seated five, with a sliding curb-side door and a one-piece liftgate. Base and SE front-wheel-drive models went on sale, along with an AWD model. A 1.8-liter 4-cylinder engine, rated at 113 horsepower, provided the power for base models. 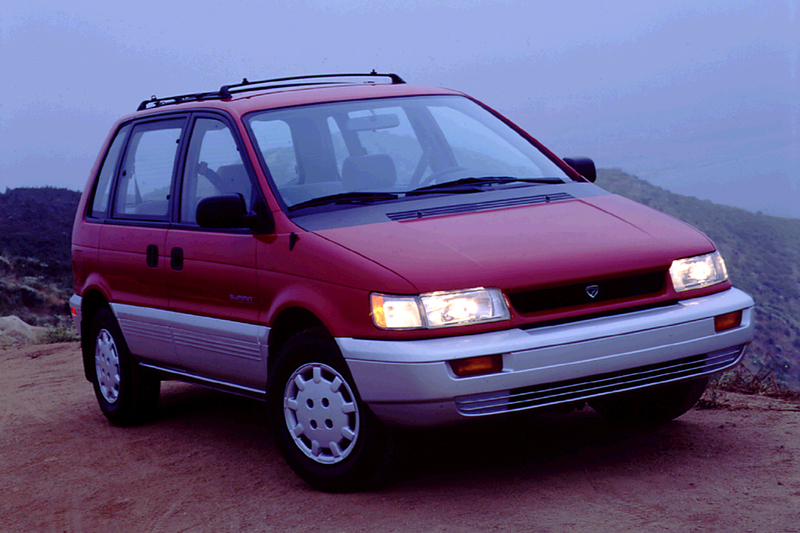 Standard on the Colt Vista SE, optional in other models, was a 2.4-liter four that delivered 116 horsepower. Any model could have either a 5-speed manual transmission or an optional 4-speed automatic. Antilock braking was optional on all models. Adding four-valve heads, the 2.4-liter engine got a substantial power boost from 116 horsepower to 136. A driver-side airbag went into 1994 Colt Vistas, along with a manual 3-point seatbelt and height adjustment. The front passenger still had a motorized shoulder belt with a manual lap belt. The 2.4-liter engine was standard on the Colt Vista SE and AWD models this year. Base-model Colt Vistas used a 1.8-liter 4-cylinder engine with a single-overhead camshaft, producing 113 horsepower. 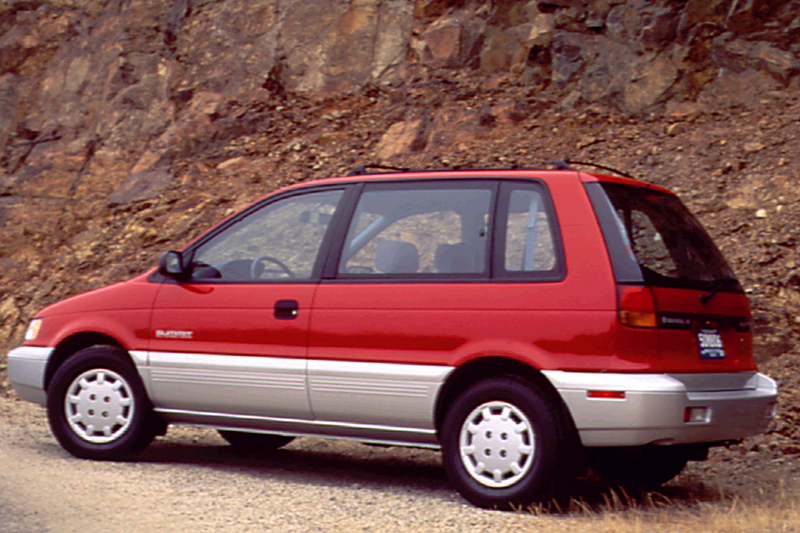 A bigger (2.4-liter) 4-cylinder went into the 1992-94 Colt Vista SE model, and also the ’94 AWD. That engine might have been installed in a base Colt Vista, or earlier AWD, as an option. Any model might have either a 5-speed manual transmission or optional 4-speed automatic. A manual transmission helps the base engine achieve adequate acceleration, but an automatic makes it feel underpowered. The 2.4-liter engine is a far better choice than the feeble 1.8-liter–especially with the 20 horsepower added for 1993. Compact size, great visibility, and fine low-speed maneuverability makes the Colt Vista an excellent urban vehicle. In fast corners, however, the tall height and narrow track result in plenty of body lean and tire squeal. Grip improves with the AWD model, with its bigger tires. Ride quality is surprisingly supple. Braking feels strong and balanced, even if antilocking is not installed. Base-model Colt Vistas are not well-insulated against engine and wind noise. Low step-in height and the sliding side door make entry/exit easy and inviting. Controls and gauges are logically laid out. Chair-height seats not only are comfortable, but they take advantage of the panoramic greenhouse to give a great view of the surroundings. Cargo space behind the back seat is tight, but the rear bench folds flat and can tumble forward to create a flat load floor from the tailgate forward. Description: Automatic seatbelt system may fail to operate correctly during crash.